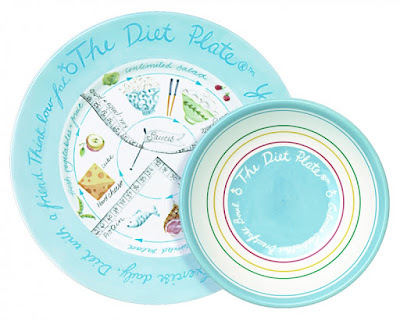 WIN #45: Female Diet Plate and Bowl from The Diet Plate! 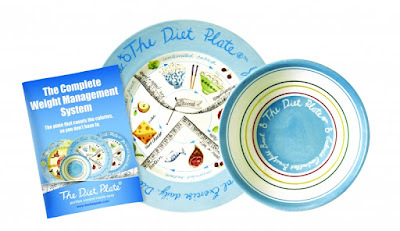 Win a Female Diet Plate and Bowl from The Diet Plate worth £30.97! 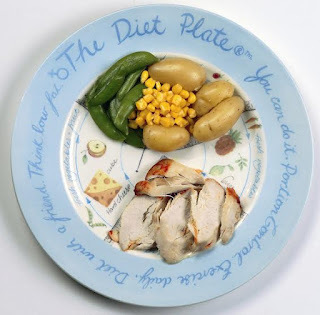 The Diet Plate is a weight loss and weight management system through portion control. You can eat what you love to cook! The clinical trial results state that you're 6 times more likely to lose weight rather than going it alone and 3 times more likely to control Type 2 Diabetes if you have the condition. You have to use it to lose it! There are three versions of the plate, one for males over the age of 10, one for woman and one for children between the age of 4-10 years called The Magic Plate. The Magic Pate is a healthy eating plate for a child that has not yet gone through puberty, but who is overweight. Swap your regular plate and bowl for the Diet Plate system, then you have a weight loss diet every time you serve food to help guide you and keep you at the correct calorific value for the days intake. The products have been tested by professional dietitians time and time again. There's no need to crash diet, just slowly cut back on portion sizes! The average weight loss on average is 2.2lbs a week or 1kg, with exercise the loss could possibly be more! The plate is also dishwasher and microwave Safe! Please note: You must at least follow or like Unique Young Mum and The Diet Plate on at least one social media platform! To find out more about The Diet Plate, and to view their full range of products, check out the official website here.